There are two Oasis Pizza and Pasta stores, one in Cowandilla and the other at the Brickworks Marketplace in Torrensville. The latter is their second store and has been open for just over a year. 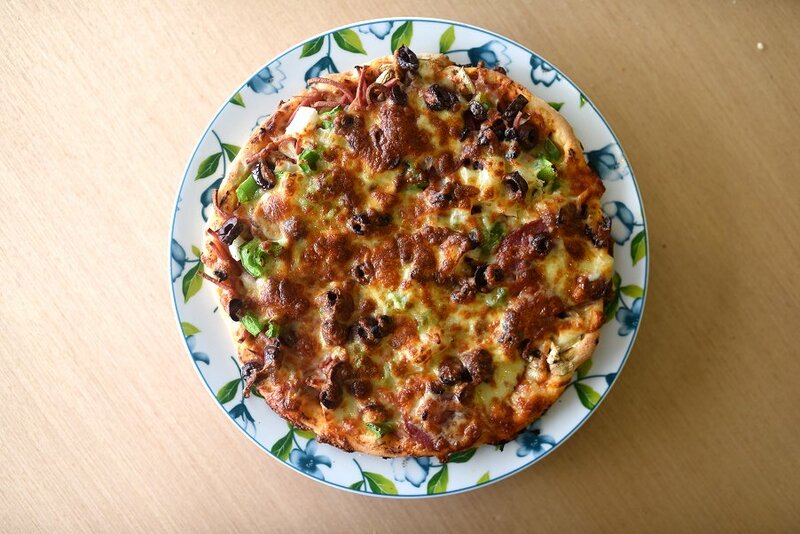 Their pizzas come in four different sizes (small 9 inch, large 12 inch, family 15 inch and party 18 inch) and are available with a standard or gluten free base. They have an extensive selection of classic and gourmet pizzas, as well as a section dedicated for vegans. As for pasta, there are five different pasta types and eleven different sauces that can be customised to your liking. Today, we tried the Oasis Special which has ham, salami, mushroom, onion, capsicum and olives. The toppings were generously applied and were held together by a golden brown layer of mozzarella cheese. The saltiness of the salami was balanced by the natural sweetness of the onion and capsicum. The pizza base is freshly made and had a nice thin consistency throughout. A good, honest, decent pizza. At Oasis Torrensville, it takes around six minutes to cook a pizza regardless of size. That allows them to quickly get their food to the customer. The staff are really friendly and passionate about what they do, and with small classic pizzas starting at $9, it really is a bargain. The Torrensville store does have some indoor and outdoor seating should you wish to enjoy your meal straight away. Oasis Pizza and Pasta Torrensville is open Sunday to Thursday from 11am-10pm, and on Friday and Saturday from 11am-11pm.